Preferred Post – Processing Software? Recently, I have been trying to branch out and explore some new, or at least rarely visited, territory. For me, this usually involves reading: both on the internet and books on particular topics. In the past months, I have read about B&W, painting images and converting photographic images, flash photography, and more recently, night photography. Almost everything I read has at least a short section on post-processing. Because our world has become digital, it is, at the very least a “necessary evil.” But some of us find it to be a huge positive to our photography, and even enjoy playing around with it. I would appreciate if readers would respond here and let me know what their “go-to” software for image editing is, and why? What I see in virtually every text and article though, is the inevitable reference to either Adobe Light Room, Photoshop (which has become a generic reference in many cases to all things digitally manipulated), or both. It is understandable that Photoshop was the original image editing program, but over the many years since it was first introduced, there have certainly been a number of other programs designed with photographic image-editing in mind. I have recently experimented with some of these offerings, including, most notably, On1‘s all-in-one, stand-alone, photo-editing software competitor to Photoshop (though I have not used any of them enough to have any judgment about them, there is an impressive lineup, including Capture One, Corel, DxO, ACDsee, and numerous others (interestingly, they all compare themselves against the Adobe “benchmarks” – Photoshop and Light Room – and often mention that you can work in and out of the Adobe programs, “seemlessly.” I gave On1 a pretty thorough test drive over a couple weeks. Ultimately, I could not get the software to play well with my HP Desktop or my Microsoft Surface 3 and they graciously refunded my purchase. It was an impressive program at what appears to be a lower price point than Photoshop. 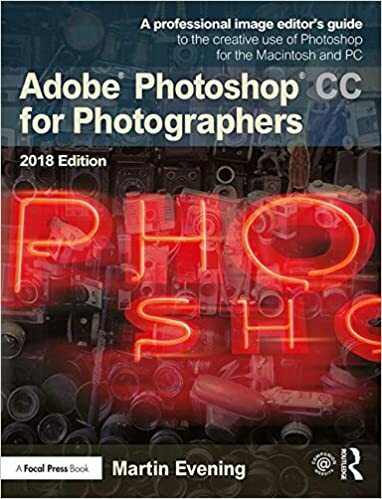 I am currently subscribed to the Adobe Cloud solution; Photoshop CC and Lightroom Classic CC and whether the price point is actually significantly lower may well depend on how often these stand-alone programs need to be updated and at what cost. In a recent post, I spoke about keeping up with the newest iteration of Photoshop, and concluded that it would remain my “go-to” software for all phases of image editing, for the time being. The books all seem to suggest that most photographers are either using Light Room, Photoshop, or both. The then go on and say that the image-editing process is pretty much the same. Having come from earlier versions of Photoshop that predate Light Room, I never embraced its image-editing capabilities. Early on, I felt that it still had too much missing from my workflow, and the Photoshop Adobe Raw Converter (ACR), now essentially the same conversion “engine” in both Light Room and ACR, seemed more capable in its early days. By the time Light Room “caught up” to Photoshop, I was thoroughly entrenched. I appreciate that Light Room was really developed specifically for photographers, and many who came to digital image-editing later than I did, probably started with Light Room. There is little doubt in my mind that it is an easier learning curve, and its design is perhaps more logical to photographers. But that is a little like saying that the metric system is a little more logical than the “English” system to a 62-year-old who has used the latter system all his life. 🙂 I am sure it is more logical. But that doesn’t make changing my thinking to it a breeze. So I pretty much stay with Photoshop (and use Light Room as an expensive cataloging tool). That may change. But for now, it still does a few things that Light Room doesn’t. And Lightroom integrates well with it. The point of this rambling blog is really to try to satisfy my own curiosity. I would appreciate if readers would respond and let me know what their “go-to” software for image editing is, and why? Oh, and by the way, I haven’t lost all interest in the “doing” phase of photography. Not much shooting lately, but a little: mostly experimentation. The image here was taken a couple nights ago near my Florida home. We often have spectacular sunsets here on the gulf. But this night it was more subdued. I made this image after sunset during twilight, and used my newest toy, a remote flash trigger, to walk over near the vegetation in the foreground and light it up with the flash. I am a long way down on the learning curve for using lighting with my Sony system. Nikon made it so easy. Now, Fall rapidly approaches, and I suspect the excitement to get out will build. In my early days of blogging, I posted a series on “fundamentals” for photographers. I don’t fancy myself a pro, or necessarily a qualified teacher. I don’t have “credentials.” I am self-taught, with a small amount of formal training, and many generous and talented friends. However, I have helped some friends and family get their arms around the basics of photography, to advance beyond so-called “point and shoot.” In fact, the genesis of my blogging here was reducing a few long-winded e-mail messages to writings that I thought could help others who have struggled as I did. That was a long time ago. I have moved away from the “tips and tutorials” thing and leave that to other writers and bloggers out there, many of whom are much better qualified than I. If you want to see my simple-minded approach to teaching, you can see my series here. But every once in a while, my observations on-line give the urge to pontificate. The internet and high quality smart phones have made everyone a “photographer” these days. The technology in both IOS and Android (and others) phones today is impressive, with good lenses, good resolution, and many apps designed to assist that process. I thought about doing a “Top 10″ things we fail to do.” But wouldn’t be what I honestly think. I pointedly avoid the left and right leaning political points of view here. But there is one case in which I have to admit that I abhor leanings in both directions. There is really one primary one that I see time and again (and when I – or someone else – catch it in my own work, I am always disconcerted). That one thing is the left-leaning or right-leaning horizon. I see it so often on Facebook that it has become “fingernails on a blackboard” for me. It is the single most prominent fault (at least in my observation) of the 1000’s of posted images on the internet. And here’s the thing: It is fixable! It is fixable before and after the shot (though it is always better in my mind to try to “fix” it during the shooting process). And here’s the thing; It is fixable! Before we make the image, we have several aids available to us. Perhaps the best (but not always feasible) one is to use a fixed camera stand (tripod) and install a bubble level on the camera hotshoe (of course, your smartphone doesn’t have a hotshoe 🙂 – more on that one later). Before a couple of my colleagues persuaded me to use a level, I thought my own eye was pretty good at judging that. The level proved otherwise (note, however, that not all levels are created equal. It is worth buying one from a good source and then testing it to be sure it is accurate – I used a carpenter’s level to test mine). Where is that thing on my smartphone? Of course, it is not always feasible (or convenient) to shoot from a tripod. And some of those to whom I am preaching here, don’t shoot with a dedicated camera, but use their smartphone. In most modern cameras, the software options include an on-screen (or in-viewfinder) graphic level. These are great tools (of course, they need to be checked and calibrated for accuracy, and there is some anecdotal commentary online that they are not always completely accurate – and there is an answer to that below). Where is that thing on my smartphone? To the best of my knowledge, neither the top Android (I use Samsung) and IOS phones do not have that as a built-in option. But there are several free apps that will add that feature. I am test-driving one called “Camera Level” that seems very much like the in-camera built-in level in my Sony cameras. It automatically loads into your smartphone’s camera (after appropriate “registration/permission”). Most software now also offers a “grid” pattern on the screen or in the viewfinder. While I find this can be a help, your eye will still fool you. The level won’t. I do not think there is any good reason not to use this technology regularly. There are some drawbacks to the post-processing “fix.” It very often may require you to crop out important parts of an image, in order to straighten it (Photoshop’s impressive “content-aware” cropping can in many cases repair that problem). It is also true that there is not always a “horizon” to reference from. It can then become more challenging. Straight lines that “should” be horizontal or vertical can be used, but you have to take into consideration perspective distortion created by lenses now. But careful analysis of the photo should tell you which lines “should” be horizontal or vertical – or at least if you have to make a choice, which are aesthetically preferable. Have a great day, be careful out there, and watch those horizons. This will be my last post here. I always seem to have a difficult time finding things to write about, especially during this time of year, when here in Michigan, it teases Spring, but then turns back to brown, wet and cold. This time of year, I start to think about Spring, and perhaps the most plentiful subject; Spring flowers. But I have “been there done that” in this blog a few times. I haven’t shot Spring flowers for a number of years, as this opening image demonstrates (as far back as 2009). So, since I can only go back to former years’ material, and re-post, it is time to hang it up. But before I do, and since I have started this one, here are a few more. Oh, and by the way, happy Easter. This is the day that celebrates the rising of Christ …. And the re-birth, or new beginning of so many things. And Spring and new growth could not be more fitting for the occasion. O.k., maybe I was wrong. This one is the same plant, 6 years later, taken with my super-compact Sony RX100iv. This one is the same shot, but after I did the “painterly” thing in Google/NIK’s ColorEfex. It may be the best rendition of this image. I have also shot a lot of tulips over the years in Spring. They bloom shortly after, and often contemporaneously with the Daffodils. One of the best parts of these flower subjects is that they are often found in our own yards. That means they are predictable most years, and that they allow us to keep coming back to them in different light conditions. This image, shot with transparency film, is my favorite ever tulip image. Tulips come in all sizes and shapes. This one was made-again – with transparency film- using flash to make the background go to black. I spent a lot of time (and film) on flowers back in the film days. The closeup is another transparency. Spring also has also gotten my “juices flowing” to get out in the field, and over the years I have found some wildflowers. Michigan’s official state wildflower is the White Trillium. I have most often found them along the Eastern shore of Lake Michigan. This one was shot on an overcast day with transparency film using a gold reflector to add some warm fill light. As the White Trillium matures and gets ready to die, it turns purple. I rather like the mature coloration. Northern Michigan is also known for a wild Orchid known as a “Lady’s Slipper.” They come in pink and in yellow (which, in my experience, is much more rare). I am also aware that there is a spotted (or painted) version and a white version. I have not had the fortune to find these. I know the painted variety exists in Michigan. We are probably a month or less away from Spring blooms here in Michigan. But this nostalgic trip into my archives has already started to generate some excitement for some Spring shooting. Flowers, waterfalls, and other things coming back to life will likely yield some new “fodder.” I need to get my equipment dusted off and ready. Oh, and that thing about my last post? JUST KIDDING. How often do you get to post on your regular posting day (usually Sundays), celebrate Easter, and say APRIL FOOLS! In the words of Arnold Schwartzenegger: “I’ll be baaaaaaack.” Happy Easter and happy Spring!